Manufacturer: I-O DATA DEVICE, INC.
believe that the hottest word recently used by people listening to decent quality music is „Tidal”. Tidal is a paid streaming service offering music files in a lossless 16/44 FLAC quality (high quality CD) and hi-res video; The latest addition is the Tidal Master, which offers hi-res PCM audio encoded in MQA (Master Quality Authenticated). They are streamed in 24/44.1 resolution and they are compatible with any file player/streamer. But there are something more: utilizing clever encoding on the receiver side (assuming the receiver is equipped with MQA decoder) they can be unpacked even to 24/352,8, ie DXD, resolution. It's a revolution because the compressed MQA files are relatively small and contain information comparable to Master Quality recordings. This is related to the music market as such. As Paul Messenger wrote in the Industry Update section of Stereophile magazine, in 2017 the streaming services market has grown significantly; As compared to the previous year, the value of the streaming market increased by 67.5% ("Stereophile" Vol. 40, 2017, No. 5, p. 15). More importantly, at the same time, the value of the online store market, where you can buy and download audio files, decreased by 29.6%. The trend is clear: more and more people prefer to listen to music on demand and do not need to own it stored on some medium. Young people have been doing so for a long time. For those who particularly care about sound quality until recently, the obstacle that could not be overcome was size of files and transmission speed. In order to play 24/96 and 24/192 high definition files, it was necessary to first download them to their device and then play them. Higher download speeds, MQA encoding and, above all, the emergence of streaming services such as Tidal completely changed this state of affairs. I wonder how this situation will develop. Perhaps so that in the entry level and medium price ranges streaming will actually dominate, and will only be supplemented with physical media such as LP and CD. At the same time, at least in my opinion, there will be a large group of music lovers and audiophiles who will, however, want to have files at home, gathered in one place. 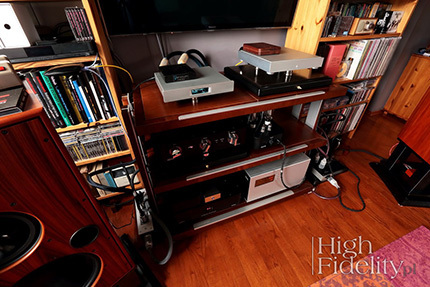 These enthusiasts are the target group of products such as the Innuos ZENith MkII Std, reviewed by High Fidelity.pl in January or the Japanese Fidata HFAS1-S10U. 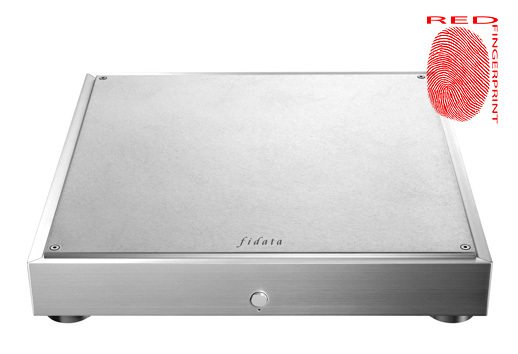 Fidata HFAS1 is a network audio server designed to let you enjoy high-end audio quality. You should not overlook our efforts to achieve the best possible sound - from the selection of materials for the chassis, to electronic circuits and individual components. 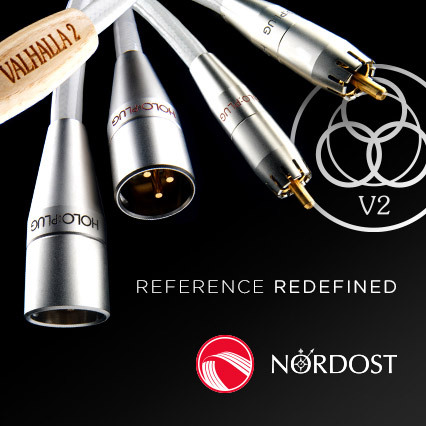 This product is a culmination of many prototypes and countless hours spent on listening to them. It allowed us to achieve a unique performance which deserves to be called high-end, offered in a unique form. Fidata is a brand owned by I-O Data, a Japanese computer peripheral manufacturer. Founded in 1976 in Kanzawa, the company is known for almost indestructible external hard drives that went unscathed when dropped from a height of 122 cm (4 feet) during tests. In 2000, company designed their first mp3 player, and in 2005 the first DLNA compatible server. In 2012, a project was started with a goal of launching and audio network server. Two years later, the prototype was presented at the Tokyo Audio and Home Theater Exhibition. Another two years passed before the final version was ready. Since 2016 Fidata delivers network audio servers for high-end systems. These servers can be connected directly to the file players using LAN cable (RJ-45). In such case the HFAS1-S10U works as classic NAS (external hard drive). These servers can also work as audio file transports – using USB output they can be connected to any digital-to-analog converter with compatible USB 2.0 input. In this mode, the device must still be connected to the home network; User can than control it using some OpenHome application (eg Linn's Kinsky) or via DLNA. The HFAS1-S10U features a mid-size, low-profile, perfectly crafted aluminum chassis. It stands on specially developed feet – one can use three or four of them. There are two Samsung 850EVO SSDs inside, selected for their speed and reliability. The server is compatible with the Digital Living Network Alliance (DLNA) standard and uses Twonky Server 7 software, a specialized server program modified for this particular manufacturer. The unit was designed by a team of four people: Mr. Yasunori Kitamura responsible for planning, Mr. Akiya Miyamoto responsible for hardware part, Mr. Shinichi Morita who prepared the design, and Mr. Yuji Minagawa – a software engineer. From the photos on the website it is clear that they are young and very young people, which means ones, who “feel” this type of products best. One can find there also comments of each of them regarding this product as well as a wealth of information about its construction. It tells us that the designers were paying attention to every aspect, from the chassis, through power supply and ground guidance, to the word clock and all components. The unit can write and play via the RJ-45 and USB outputs, both 16-bit, 24-bit and 32-bit PCM files with a sampling frequency of 44.1 to 385 kHz, as well as the 2.8 MHz, 5.6 MHz and 11.2 MHz (DSF and DFF) DSD; The RJ-45 output delivers DSD signal in native form mode and the USB output sends it as DoP (ie DSD files packed in "PCM" container). Connection to server is very simple – all one needs is a network cable and LAN (or USB) and without any extra work the server is ready to go. Files on it can be transferred to it either from a pendrive or from a computer - via a home network. The files' player/server Fidelio was tested in both modes for which it was intended. As a file player and server, it worked with the Accuphase DP-560 SACD player. The signal from its USB output was sent to Player's input using Curious cable. To be able to control it from a tablet or a smartphone, one has to connect the device to the router with a LAN cable (RJ-45). I used the Acoustic Revive LAN-1.0 PA with the RLI-1 filter on both ends – the intention was to isolate the tested device (and the whole system) from noise in the best possible way. The same cable was used to connect the Fidelio server to the Lumin T1 file player. 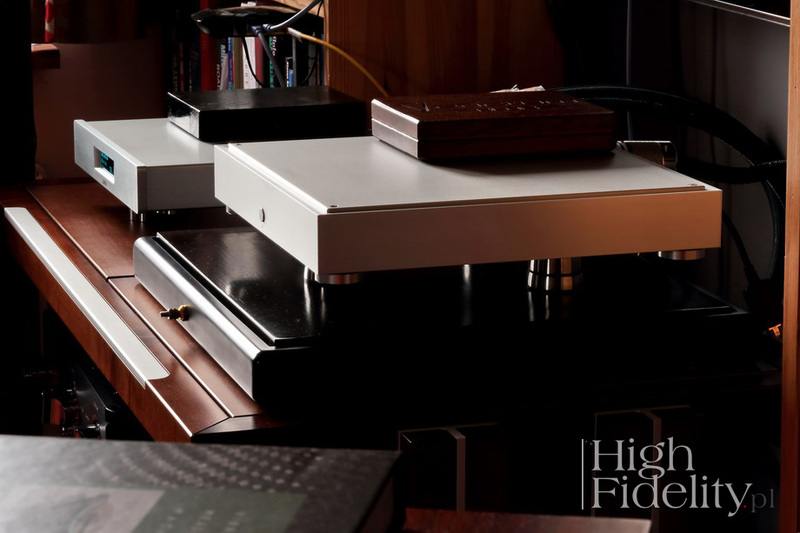 The HFAS1-S10U is an exceptionally well designed and made high-end device. That is why it is worth to support it with all the best accessories one has at one's disposal. During the test, I placed it on Pro Audio Bono Ceramic 7SN feet and on the pneumatic Acoustic Revive RAF-48H platform. On top of the device I placed the latest version of the passive Verictum X Block filter. The unit was powered using the Acoustic Revive Power Reference Triple- with RAS-14 Triple-C filter. Moreover, unused LAN and USB sockets I closed with special Acoustic Revive terminators (RLT-1 and RUT-1 respectively). The efforts to ensure as good conditions for this device as possible really pays off! During the test I used CDs and PCM and DSD files. The files came from HDTracks.com and LinnRecords.com stores, as well as from rips of my own DVD-As and HRx discs from Reference Recordings. I also used DSD and PCM files offered me by so befriended recording and mastering studios.